With the year 2019 fast approaching and with the declining popularity of the once perceived invincible Narendra Modi, India and its people are eager to witness the elections that are to be held in the year 2019 which shall elect the next Prime Minister of the country. The government has been successful in arriving in some sort of positive solution for the long-drawn problem of increasing Non- Performing Assets. Through the IBC or the Insolvency and the Bankruptcy Code, the government has been able to draw the interest of large Indian Companies such as the Tata’s, the Birla’s to buy Companies that might have big NPA’s but the underlying assets are strong and of good quality. The Mudra Yojana of the government is also worth a mention. This will promote entrepreneurship in the country as small entrepreneurs can be granted loans against very little or no collateral at all. Narendra Modi and his government has also been successful in opening a number of bank accounts amongst the masses where bank accounts were not present. Besides, the Direct Benefit Transfer Scheme has been quite successful in ensuring that corruption is lowered as the benefits are directly transferred to the bank accounts of individuals. The current government has certainly seen a few failures along the way which can hamper the chances of Modi being re-elected as the Prime Minister of the Country in 2019. In its election manifesto in 2014, the Modi government had promised that it will try to increase the rate of employment in the country, while reducing the prices of some of the important things of use such as petrol. However, if statistics are to be believed, there has been no progress so far with this regard and prices of important commodities such as petrol continue to increase, while the unemployment rate in the country is still staggering. The varied problems faced by the Indian farmers still continue to persist. You will still hear cases of farmers not being adequately served, farmers committing a lot of suicides. There has not been any progress with respect to the insurance on crops as well. The above are some of the main failures which have been noted during the four years of Modi government in India. Apart from these, the following two are the most debatable issues. The two policies that have been implemented by the Modi government have been the most debatable ones. While some people have been benefitted and appreciate the outcome of these policies, there have been others who view it through a negative angle, and the same may be responsible for Modi not being elected again as the Prime Minister of India. The demonetization of 500- and 1000-rupee notes by the Modi government on the 8th of November 2016 has been one of the most debatable moves in decades. The ripples and after-effects of this move is still being felt in the country, with many stalwarts criticising the move. The common masses really suffered when they had to stand in long queues and get their currency exchanged for the new ones from banks. This, in turn, became one of the worst nightmares of the Indian citizens. People actually forgot the two main motive with which the scheme was introduced in the first place-putting a cub to black money and decreasing the incidence of tax avoidance. But Modi has certainly lost the vote of all those who were adversely affected by the policy. Another debatable move by the Modi government came in the form of Goods and Services Tax on the 1st of July 2017. This was aimed towards eradicating the multiple taxes that the Indian economy was known to have. While there were many benefits of introducing the GST such as greater tax transparency, greater and easier compliance, amongst others, it is the short -term inconvenience and adverse effects that was driving the common mass crazy and the verdict was quite negative about this move. The implementation was not smooth at all and in filing of GST, many additional things had to be filled by the tax payer which were not heard of earlier. Keeping in mind all the above points and after having reviewed the report card of the Modi government till date, it seems likely that the Indian common man who is desperately looking for a positive change in his/her life is not ready to wait and see the long- term impact of some of the well- intended policies of the Modi government. The Indian common man is hungry for a change soon and that is why the chances that Narendra Modi shall not be re-elected as the next Prime Minister of the country is quite high. So, now the question is, if not Narendra Modi, then who shall be the next Prime Minister of India in 2019? When Modi became the Indian Prime Minister in 2014, many people in India and across the globe must have believed that this guy was here to stay. However, some of his moves such as the introduction of GST and demonetization have really increased the number of detractors that Modi has and hence, India might have to be prepared for a new Prime Minister in the election to come. Well, ever since Rahul Gandhi has entered politics completely, he has been one of the most vocal detractors of Modi and his government. However, as and when he continues with his own campaign while also sighting out the failures of the BJP government, he has made a mockery of himself in more than a few occasions. From most of the political campaigns that Rahul Gandhi has run, it seems to be very clear that this man has a confused political thinking and his vision and thought process is not clear at all. In one of his speech, he was quick to point out that the man who pioneered the Coca Cola Company was once a seller of lemon water and that the owner of the famous fast-food giant McDonalds was working at a local Dhaba. He questioned as to why such things do not happen in our country. Poor Rahul Gandhi was slow to realize that this fact had nothing to do with Narendra Modi and his government. This, in fact, had to be attributed to the many brutal policies that did not support entrepreneurs during his own party’s rule in India. This was just one of the many mistakes that he has done. Besides, Uttar Pradesh has always been one of the most important states for India. In this state, the popularity of Rahul Gandhi seems nowhere, and it is more likely that Mayawati or Akhilesh Yadav could stand a chance of winning. The congress party has been recently seen of developing a strategy and holding unity amongst all the members to throw BJP out of power. Another potential candidate that the BJP and Modi has to worry about is the stalwart of the Dalit group in Uttar Pradesh. Mayawati’s election campaign in 2017 in the state of Uttar Pradesh has proved the fact that she is able to extend her magic to the Dalit groups of the state and this group can actually take the elections to a whole new different angle. Hence, one of the ways which the congress has been trying to throw the Modi government out of power is by luring Mayawati so that she can support the congress. However, only time will tell if the BJP is able to stop the opposition from doing so and luring Mayawati so that she can get the Dalit group vote for BJP instead. Another possible candidate that the BJP can project in order to remain in power in the coming elections is Nitin Gadkari. His understanding of the BJP government can be one of his major strengths. Another important thing that can work in his favour and make him a presidential candidate for the BJP is the fact that he does not have the image of being a Hindutva leader and his ties with the opposition is not bad either. The “didi” of the Trinamool Congress is quite well-versed with Indian politics and can be thought of as a potential Prime Ministerial candidate. She has been a strong leader and that is why the opposition party might bank on her to overthrow the BJP rule in India. There are quite a few positives that work in favour of Mamata Banerjee. She has good relations with regional parties namely Shiv Sena, TDP, and others. She also has a good experience in governance and has experience in handling the ministry of the cabinet. Having been successful in the field of defence and agriculture, the NCP party leader Sharad Pawar can be a great choice for Prime Ministership. He is well-respected across all parties in India and is also well acquainted with India’s political structure. However, things that can go negative against him are the fact that time and again, he has been regarded as corrupt and his health has also been on a declining trend in recent times. If there is one congress leader who is viewed with a sense of positivity on the social media and is also regarded as being quite intellectual at the same time, it is Shashi Tharoor from the Congress party. Although he has a good number of followers and is regarded as a patriotic leader, he still carries a negative image to some extent. Another fact that might come in his way towards becoming the next Prime Minister of India is that he has been charged against the murder of his own wife. Whether any one of the above-mentioned candidates get elected or Narendra Modi continues to serve as the Prime Minister of India will be interesting to witness and we shall have to wait until the next election. Thus, it is quite evident from the above article that it may be quite early and difficult to conclude and arrive at a name of one person who can be the next Prime Minister of India. 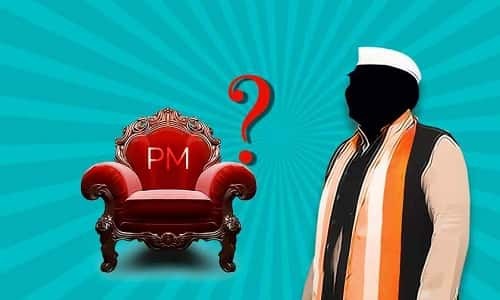 However, one thing is certain that in the upcoming elections of 2019, both the BJP and the Narendra Modi government are going to face a tough competition and it will be interesting to see whom the Indian masses choose and raise to the rank of being the Prime Minister of one the most followed developing countries of the world.